Charterhouse Cave, on the Mendip Hills in Somerset, is the deepest cave in southern England. The cave is situated on land owned by Somerset Wildlife Trust. Because of the various well-preserved formations in the cave, the entrance blockhouse is kept locked and access is restricted to those with permits issued by member clubs of the Charterhouse Caving Company. For the same reason, no novices or cavers aged under 16 are allowed to enter. The cave has three large chambers, Midsummer Chamber, The Citadel, and Times Square; The Citadel is almost as large as the chambers in GB Cave and Lamb Leer. There are a number of long, fairly straight passages which are approximately 2 m (6.6 ft) across and the same high. Various parts of the cave contain delicate formations, including Forbidden Passage, Midsummer Chamber, The Citadel, The Grotto of the Singing Stal, and the First and Second Inlets. When Portal Pool Sump was passed in May 2009, about 500 m (1,600 ft) of new passage was discovered, as well as a number of side-passages. Surveys conducted after the breakthrough in May 2009 show approximately 1,000 m (3,300 ft) of passage, with an estimated 500 m unsurveyed plus a number of leads yet to be explored. The surveys have also confirmed the depth at over 200 m (660 ft). The stream in nearby GB Cave flows into Charterhouse Cave and ultimately rises near Gough's Cave in Cheddar Gorge, approximately 2 km (1.2 mi) away. There is a hole in the concrete blockhouse over the entrance to the cave to allow the entrance of bats. The insect life found within the cave is fairly typical of caves on the Mendip Hills, including a number of troglophiles and troglobites such as the freshwater shrimp (niphargus fontanus) and the springtail (onychiurus schoetti). ^ "Charterhouse Cave". Mendip Cave Registry & Archive. Retrieved 30 March 2012. ^ "Charterhouse Cave". UK Caves database. Retrieved 5 September 2009. ^ a b "Deepest caves". ukcaves.co.uk. UK Caves database. Retrieved 8 September 2009. ^ a b c d e Chapman,P.R.J; Moody,A.A.D. ; Moody,P.D. ; Smart,P.L. (1984). "Charterhouse Cave: Exploration, geomorphology and fauna". UBSS Proceedings. UBSS. 17 (1): 5–27. ^ a b Irwin, David John; Knibbs Anthony J. (1999). Mendip Underground: A Cavers Guide. Bat Products. ISBN 0-9536103-0-6. ^ a b Moody, P. (2008). "Breakthrough by WCC in Charterhouse Cave" (PDF). UBSS Newsletter. UBSS. 3 (9): 1–2. ^ "The Charterhouse Area and the Charterhouse Caving Company Ltd". Charterhouse Caving Company Ltd. Retrieved 21 November 2011. ^ "Access to Caves in Mendip and Wales". University of Bristol Spelaeological Society. Retrieved 5 September 2009. ^ "Charterhouse". Council of Southern Caving Clubs. Retrieved 9 November 2010. 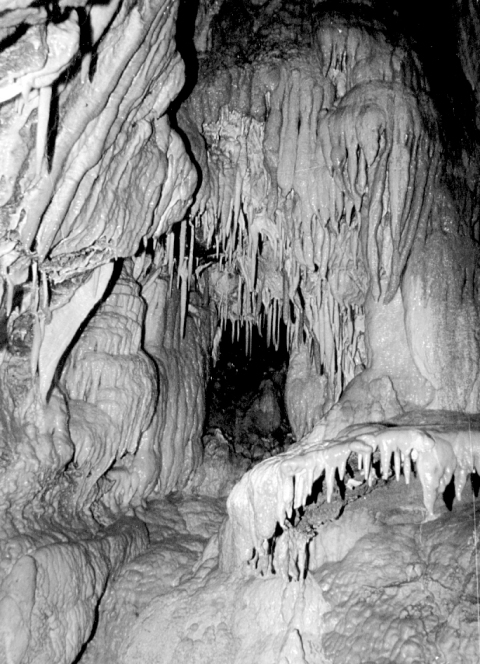 "Charterhouse Cave". Mendip Cave Registry & Archive.